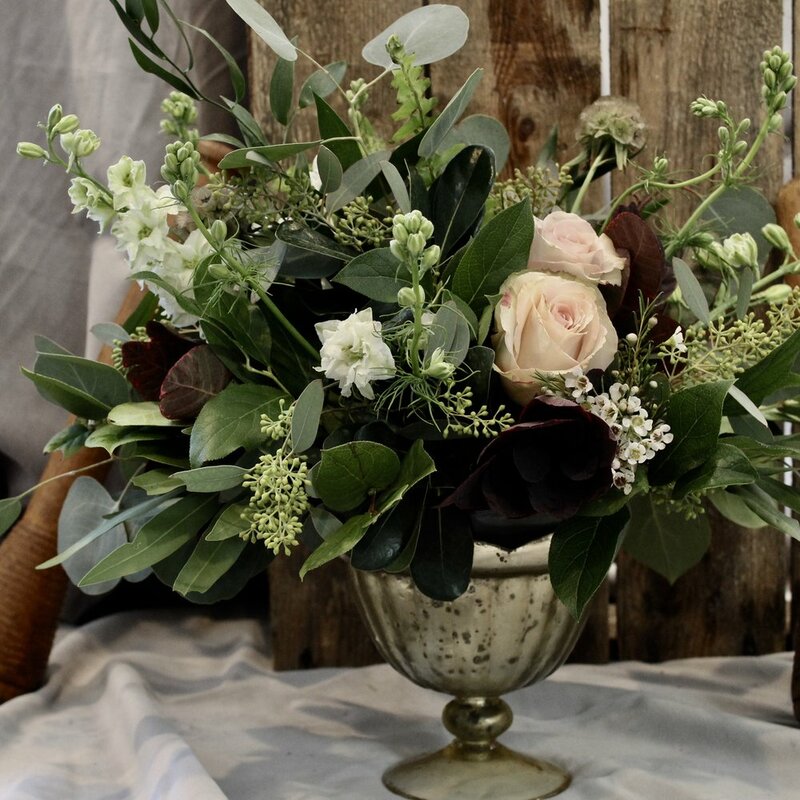 Adding an assortment of bud vases to tables at a wedding reception or special event is a beautiful and stylish way to add color, texture, and composition to the celebration atmosphere. 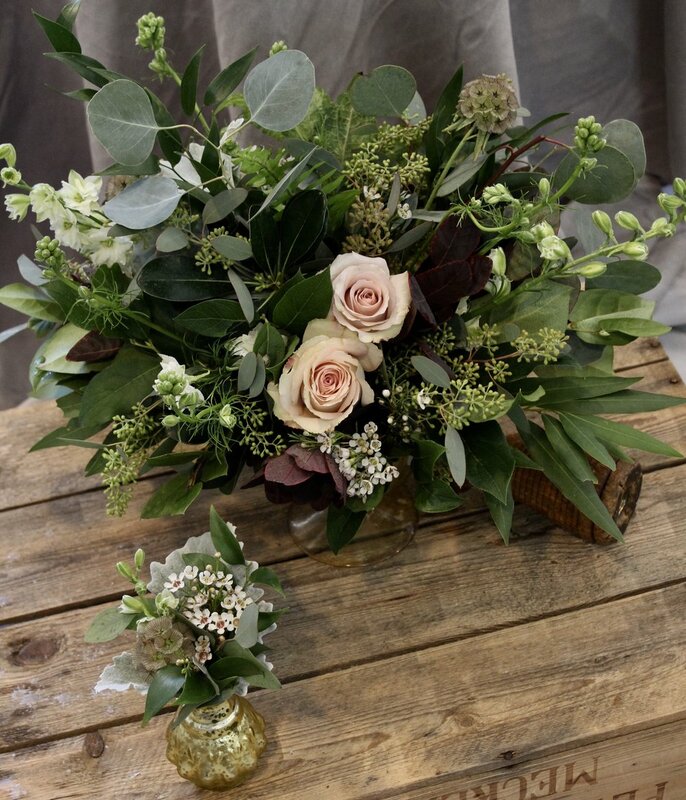 Wax flower, velvety lambs ear, scabiosia, and roses created a perfect harmony tucked into vintage glass vessels. We love the loose crush of the velvet fabric that catches and reflects the light and mirrors the surface of the glass.